As the first point of call for all things FinTech in India we have worked with many of the industries leaders to put together a program to benefit you. Whether you are a member of the public looking for a better deal than the incumbent or a part of the industry trying to assist the other players here is a list of all the programs we can offer you. If you’re a FinTech company and looking to partner with us, please contact us today. RateSetter is a marketplace lender. They connect investors who want a better rate on their money with creditworthy borrowers who want a simple, competitive loan. 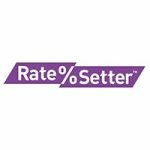 RateSetter was launched in Australia in October 2014. We are excited to be the first and only company in Australia to provide peer-to-peer lending to retail savers and investors. RateSetter holds an Australian financial service licence number 449176 and an Australian credit licence number 449176. 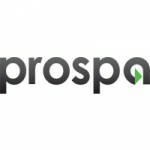 Using a smart proprietary technology platform and a fast, easy online application, Prospa focuses on the health of a business to determine creditworthiness, not the personal score of the owner. Small businesses can apply online for loans up to $250k using the online application, get a fast decision and in many cases receive the funding in under 24 hours. 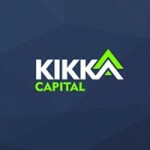 Kikka Capital is an Australian based lender, ready to help Australian Business, like yours, grow with access to finance. You could be approved for up to $100,000 and your application will take just 7 minutes to complete. That may seem fast, but it’s because Kikka Capital is not a bank, instead of getting bogged down in your past credit history we’re more interested in knowing where your business is heading now. 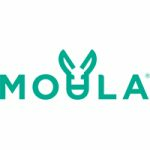 Moula was founded by an experienced team from the world of finance and technology. They recognised the difficulty being faced by businesses accessing funding and set about building Moula to solve those problems. Apply in minutes – Moula provides 24 hour access to finance for your business. Borrow up to $100,000 – Link your business data, Moula will do the rest. Nothing to hide – No hidden charges, no establishment fees, no penalty for early repayment. Made in Australia – Moula has been built in Australia for Australian business. For a personal introduction, click on the Apply button below and send through your contact details. The easiest and fastest way to get a credit line of up to $250,000 for your business. Flexible repayment schedule of up to 12 months. 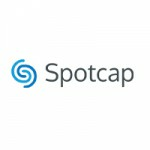 Spotcap is an innovative online platform providing fast and flexible financing to small businesses in Australia. Spotcap has developed a proprietary credit algorithm leveraging real-time business data which allows it to provide funds quicker and approve more loans than traditional lenders like the banks. 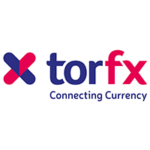 TorFX has been looking after the foreign currency exchange requirements of private individuals and corporate clients for more than a decade. They make connecting currency simple and stress-free, so you can enjoy serious savings and a first-class personal service whatever the size of your transfer. 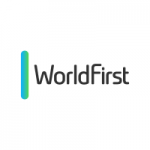 World First are one of Australia’s leading international money transfer brands, offering individuals, online sellers and businesses access to better exchange rates, fast transfers and personalised service over the big banks. So for fast, secure and personal service with lower fees and far superior rates to the Big 4 Aussie Banks when sending money overseas – always think World First. 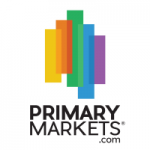 PrimaryMarkets delivers liquidity to Unlisted Securities and Investments. Expanded demand, visibility and efficiency provided to Sellers of unlisted, tough-to-trade assets by marketing to our extensive, tailored Buyer and Intermediary networks. Buyer network with direct access to numerous attractive assets that existing networks cannot provide. If you’re interested in investing or listing your asset, please click on the Apply button below and send through your contact details for a personal introduction.